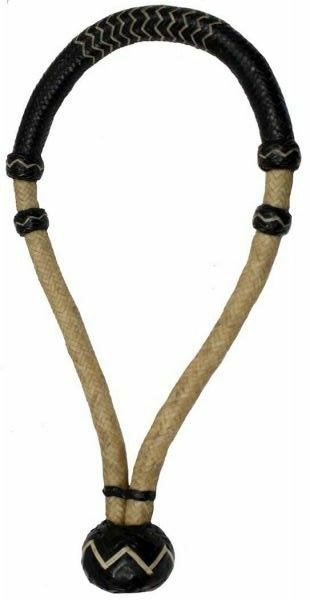 Showman™ two toned rawhide braided show bosal. Bosal measures 6" X 12". Features 12 plait cheeks, 16 plait nose. 5/8" rawhide core. Made by Showman™ Products.